Well, this was unexpected! Let’s call it an unexpected bonus. One of my merchants had a great sale and my income stormed ahead – albeit just for this month, it’s not a trend. But I’m not complaining about this. ShareASale – that one big sale made a huge difference to my overall earnings total in June, and sadly won’t be regularly repeated, but wow, what a nice bonus. I also learned sadly, that my main merchant will be shortly changing their commission terms and going from a 30 day cookie to a 1 day cookie – so if the reader doesn’t buy right away from the click through, commission won’t be paid. My quick figures on this showed I could expect a drop of up to 96% in my earnings from this merchant as a result. This is going to be a disaster, but there’s nothing I can do about it, except try to impart a sense of urgency in my posts which I don’t normally do. I’ll be looking carefully at other opportunities to try to make up for some of this loss. Lesson – don’t put too many of your eggs in one basket and don’t think that something good will last forever. Search engine traffic – Google still loves me. Phew. Not going to say anything else in case I jinx it again. DFP – my attempts at getting DFP up and running on the site just didn’t work out. I used an agency to set up and run it, but it basically was only showing Adsense adverts anyway, none of my other advertisers got a look in to show any impressions, and it was often showing blank spaces with no advert at all. In the end I made the decision not to continue because I was losing money, not making it. I might revisit this again one day, but for now, I don’t have the time to go through all that again. I’d really like to learn all about how to do it myself, but haven’t found the right course. Has anyone taken a class on this that they can recommend? Direct advertising – as the site and traffic have been growing, I’ve been getting more and more inquiries about advertising on the site. All of my spaces were full and I was turning people away, so I made the decision to review this during June and implemented new pricing from mid-July. So I do now have a few more spots available and charge a little more for them. I’ve tried to encourage advertisers to sign up for 3 months at a time rather than 1 month to cut down on the time spent in administration, so that’s why the direct advertising income looks higher this month – it’s just timing. Next month will be right down as there won’t be many monthly renewals. Adsense – do you use Youtube? As I’ve been loading on more videos and getting more views, so the income I earn from Adsense has been increasing. My video income exceeded $100 for the first time in June. Readers seem to like them and they can draw more traffic to your site, and earn a little money on the side too. What’s not to like? But they do take a lot of extra time to make and edit – what do you think? Do you offer videos for your site and what types? Tutorials? Reviews? Blogger To WordPress – the domain name and hosting account on this site is shortly up for renewal and I don’t think I’m going to bother with it. While it lasted it was great and I really enjoyed setting up new websites for bloggers. But when the change came about at GoDaddy that required the customer to register their own credit card or Paypal account for renewals, the drop off in take up for this offer was immediate and almost total. No one was willing to do it – pay out just $36 up front for me to refund right away. Even though I was still setting everything up for free and paying for it. Crazy how one small change can make a world of difference. Free is only free if you don’t have to pay for it. But if you have to pay $36 and get given $36 straight back, it’s no longer worth doing? So long as I live, I’ll never understand how people think. It’s also interesting to see that of all the websites I set up, about 50% of them were NEVER used. Not once, not a single post, not a single change ever made to the site by the new owner. After I bought them the domain name and the first year of hosting, spent hours setting it all up, they never even used it. Again, it just goes to show, sometimes people will say yes to get something for free even if they don’t want it! Talking about domain names – I also bought a new domain that became available, cooking-for-beginners.com. I’ve no idea what I’ll do with it, but since I can’t even cook anything, I have in the back of my mind that one day, I’ll maybe learn to cook, just a little bit and I’ll add what I learn to this site. But that’s a long way off, and for when/if I get bored of sewing. Most of my hobbies have a life span of about 2 years before I move on to something else. The summer months tend to be quieter for bloggers, people have got better things to do in the good weather, the kids are off school, people take vacations etc and don’t spend so much time online – good for them. I’ll be taking my own 2 weeks blogging vacation, which is why this update is late this month. So I’ll be happy indeed if things returned to the levels I was getting before, about $6-$7k for July would be perfect and it will be nice to see if the income still comes in even while I’m away. Hi Debby, Great numbers here. I wonder what I’m doing wrong with shareasale. I haven’t made a dime in the 5 months that I’ve been using the service. Also, I’m in the middle of moving to WordPress from blogger and I’m a little confused on how to set up my feed and transfer feed subscribers. Thanks for your help. Your site is a news site and I wasn’t able to see anywhere that you were promoting any products or services. That’s probably why you aren’t making any money. It takes a lot more than simply posting a banner in your sidebar. It has to be relevant and targeted to your readers and topic and you have to give them a reason to buy it. But at the same time, be genuine and not pushy too. It can be a hard balance. That’s a tough one. It depends on your domain name, how many followers you have and what they expect from you, what you’ve written about in the past and what direction you’ll take for the future. Domain names are cheap so if you can get a good one, then you might start afresh and let your followers know to follow you at the new site on your new ‘XYZ topic’. Hey Deby, I just came across to your site from Matthew Woodwards blog – The 96% predicted dive in commissions shocked me… Truly I am sorry to hear that. Anyone who works hard to build an asset like this only to have the rug pulled from beneath their feet doesn´t deserve it. In Matts comment, I noticed he suggested digging you heals in and stop sending them traffic. I think he has nailed it! It seems that people follow your links because of your more passive writing style, and by injecting a sense of urgency may go against the general flow of your site and have a further negative effect for you. You currently send a decent amount of traffic to them right? well, it gives you plenty of leverage to negotiate the cookie period. Don´t let the greedy monkeys win!! I wish I was that important that I could influence their decision or get special treatment, but I’ve done several emails protesting and they are so big they don’t need me it seems. 🙁 I agree with your comment about the passive and relaxed style and by being all ‘buy now’ and urgent, well, its not me and its not what my readers are used to. I think if I dig in my heels and stop sending them traffic, the only one to loose will be me and I’ll loose whatever remaining commission I might earn. Feeling very defeated after I worked so hard and it was doing so nicely for me. Thanks for you words of encouragement. Wow, what an incredible month. You did a great job with your earnings mate. Btw, what kind of products do you promote from Shareasale? Actually a bit of lots of things. For example, if I’m sewing a cosmetics bag, I’ll include a link to one of my favorite make up sites. I’m sewing a case or sunglasses or reading glasses, then it will include a link for those too. PLus I link to sites selling sewing patterns and related products too of course. Hi Deby, I set up Google DFP by myself on my site a week ago and it is working great. Believe me when I say that I belong in a cave! If I did it you can do it in a minute, it really took me only few minutes. I am going through the Mom Blog to Money Blog serious (affiliate link on my site sidebar or you can google it of course). She has a great three video tutorial on how to set it up. I currently have adsense and media.net working there and so far so good, but I am wondering if I should add other networks too. Do you have a recommendation? Also, can you please direct me to a post of yours about Share a Sale if you have one, and also a post where you promote a product that is sold through them please. I would like to see how it is done. I signed up with them a few weeks ago but never had the chance to really get in there and learn how it works. Wow, you set up your own DFP! That’s amazing. So many bloggers I know have tried and failed. I’ve heard that the Mom Blog to Money Blog includes a tutorial on how to do it. Maybe its a service you could offer to other bloggers – setting up and monitoring and optmising their incomes. It’s something that is very much in demand. I suggest looking at Lijit (now Sovrn), Rivit Media if they’ll accept you (usually crafting sites only) and maybe Izea.com. A few extra options for you there. In terms of ShareASale, here is one for a free sewing pattern for a cosmetics bag which also includes a link to a cosmetics site as well. http://so-sew-easy.com/easy-cosmetics-bag-pattern/ This one has been really popular and the video has now been watched on YouTube of 45k times! As you can see, its very subtle, but that is what works for me. Oh… I like it. It is not pushy at all. I am as far away from a salesman as possible, but I don’t mind sharing where I buy things. So just by adding links like that to your posts you are making money from Share-A-Sale? Yes. I also do more direct recommendations such as product reviews that it within my niche, but basically that’s all there is to it. It depends a lot on your traffic, how engaged your readers are and what the terms are of the merchant you are promoting. I’m expecting a big decline following a cookie change so it pays to diversify across lots of areas if you can. Wow! Great income! I’m just starting my site and was looking for ways to get readers and this really gives me hope. Any tips for newbies? Wow, where to start. If you are new to blogging, you should concentrate on just a few areas until you get established. Niche – what you are writing about. Target audience – who are they, what do they want and where can you find them. Content – readers will only hang around if you write great stuff they want to read. Be genuine, use your own voice and write from the heart. Traffic – get you site found, take part in linky parties and read through some of the other tips here for traffic. Once your site is established, then you can nurture your followers and start to introduce them to a little advertising, sponsored posts and product reviews. I hope it goes well for you. 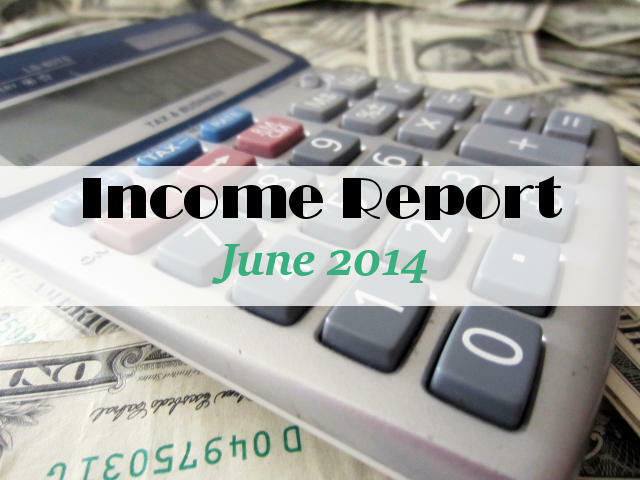 Thanks for sharing these income reports! I like the idea of your Cooking For Beginners site. You could blog about learning to cook and post your successes and flops and people could learn with you. With my cooking, I’m not sure there would be any successes to share! This is very encouraging! I am just embarking on the whole “blog money making” journey. It is very exciting but also daunting. Reading posts like yours gives me hope! I’m happy I found your site.